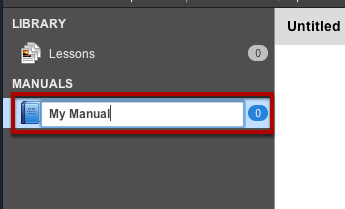 Manuals allow you to group your lessons much like you would a user manual. Chapters help you organize lessons in your manual. By default one will be created for you. 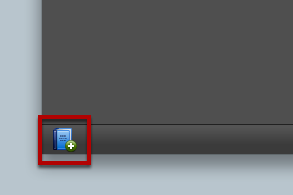 You can renamed the chapter by double clicking on it. Click New Chapter to add additional chapters. 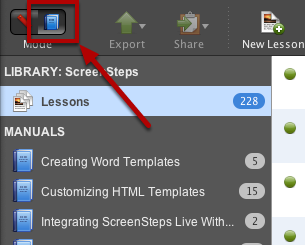 You can create lesson stubs within a chapter. These will be empty lessons that you can fill in later. Select New Lesson to add a lesson to a chapter. 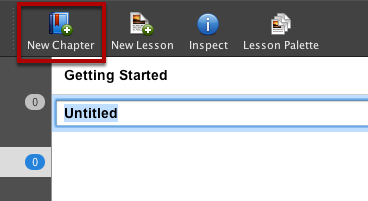 Enter a name for the lesson and press return. Continue this process, adding additional lessons until you have finished stubbing out your manual.